Robert J. Renison was ordained a deacon in 1896 in Toronto and as a priest 1899 in Moose Factory by Bishop Newnham, Bishop of the Diocese of Moosonee at the time. 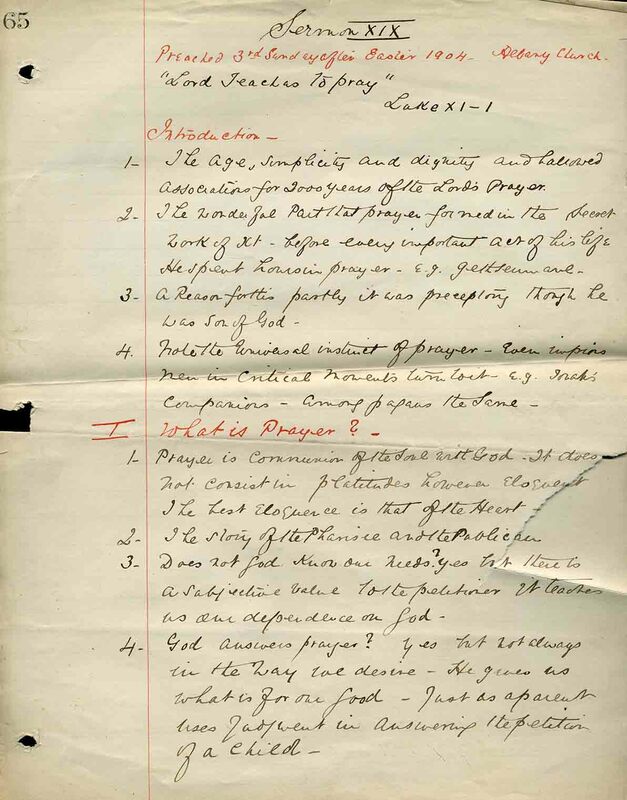 In 1898, accompanied by his brothers William and George, Robert J. travelled to Moose Factory to work as a missionary. His youngest brother George left at the end of the summer to attend school at Bishop’s University. His brother William stayed for a couple of years but then left to continue his education at St. John’s College in Winnipeg. Robert J. stayed in the Moose Factory area until 1912, when he was called to be the Rector of the Church of the Ascension in Hamilton, Ontario, with the exception of a yearlong furlough as Assistant Rector of St. Paul's Episcopal Church in San Francisco, California sometime around 1905. 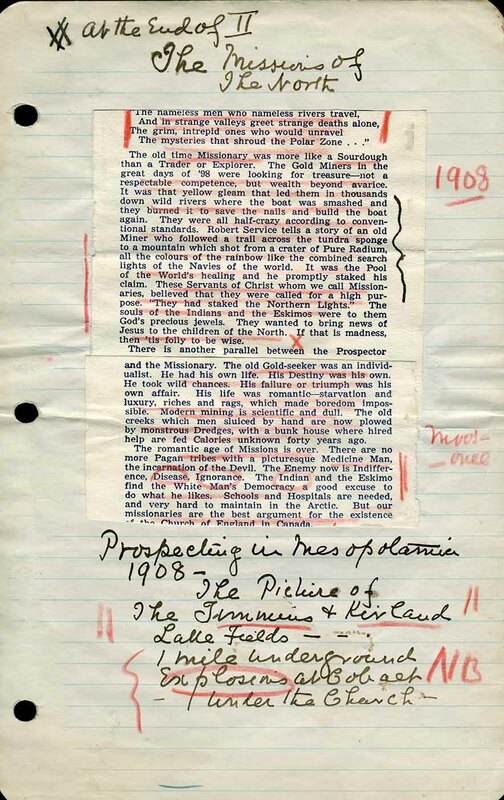 A handwritten notes of a sermon titled ”Missions of the North” for a sermon preached in 1908 in the Moose Factory area by The Rev. Robert J. Renison. Rev. Renison to Return to Work Among 'Indians': Assistant Rector of St. Paul's to leave." An article about The Rev. 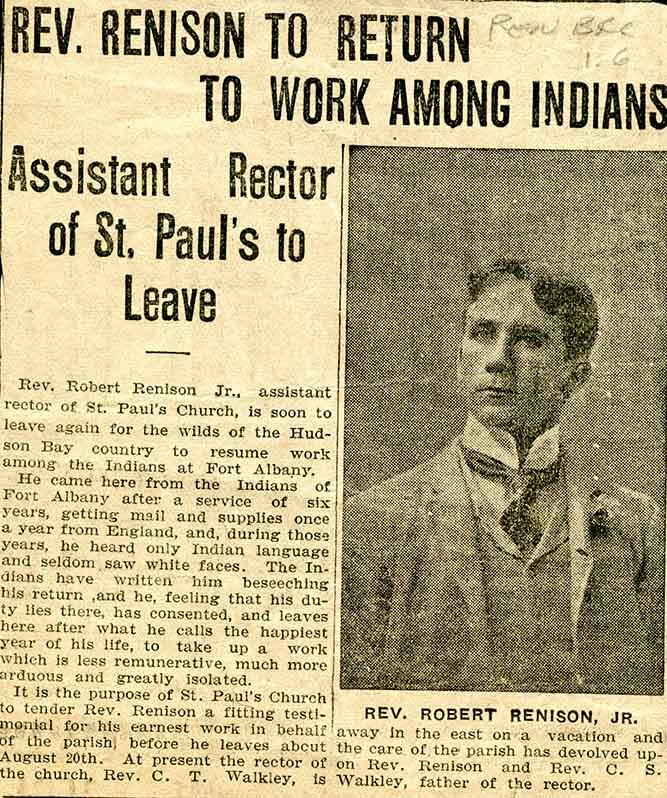 Robert J. Renison leaving St. Paul's Episcopal Church in San Francisco as Assistant Rector in early 20th century to return to work as a missionary in Northern Ontario, prior to serving as Rector at the Church of the Ascension in Hamilton. At the time his father was an Episcopal priest in Los Angeles, California. "Rev. Renison to Return to Work Among 'Indians'"